Pattinson are delighted to offer to the Sale Market the Perfect Holiday Home. This Three Bedroom Modern Static Caravan is located on Heather View Leisure Park in Stanhope which is a fabulous location to get away from the hustle and bustle of daily life.The caravan sits on a prime spot on the site with beautiful views over the surrounding countryside, there is an allocated parking bay, patio area for outside dining and the facilities on the sight include bar, restaurant, shop and play areas with fishing also available to home owners. If you have been thinking of purchasing a caravan then this really is a must see, the caravan benefits from having a generous size lounge area with a pull out double bed as part of the seating which means room for an extra two people to stay over and a corner dining area, a galley style kitchen has fitted wall and base units with gas hob and oven and a fridge freezer included, there are Two Twin Bedrooms with cupboard space and a Master Bedroom with a double wardrobe, also a Shower Room with shower cubicle, pedestal wash hand basin and low level wc, there is also a separate wc. 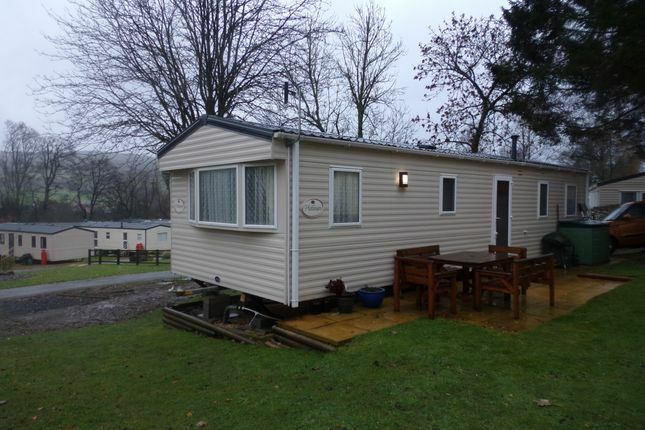 The price for this top quality holiday home does not include the annual site fees approx 2532 per annum or the set up costs for which you would have to check with the site. Viewing comes highly recommended to appreciate exactly all that is on offer here to arrange a viewing please call our Consett Office. Gas fire and fitted display unit, seating area with pull out double bed. Fitted wall and base units gas hob and oven, fridge freezer and sink with mixer tap. Shower cubicle, pedestal wash hand basin, low level wc, and heated towel rail. Patio area and parking bay fantastic views. Property descriptions and related information displayed on this page, with the exclusion of Running Costs data, are marketing materials provided by Pattinson - Consett, and do not constitute property particulars. Please contact Pattinson - Consett for full details and further information. The Running Costs data displayed on this page are provided by PrimeLocation to give an indication of potential running costs based on various data sources. PrimeLocation does not warrant or accept any responsibility for the accuracy or completeness of the property descriptions, related information or Running Costs data provided here.